Back at Sac State, I have access to a huge library that includes archives of newspapers via microfilm. Everything is copied...including the ads. Given the fact that I cosplay from Persona 3, I decided to dig back into these archives to see what it was like in 2007 and 2008 when the game first came out. 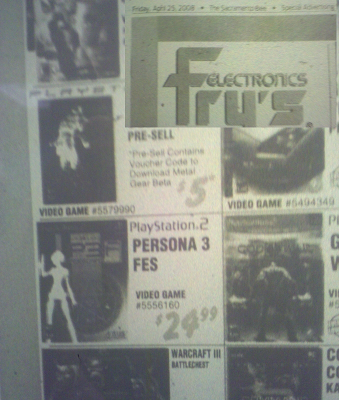 The Fry's ad from August 17th, 2007, the Friday of the week that the original Persona 3 was released. 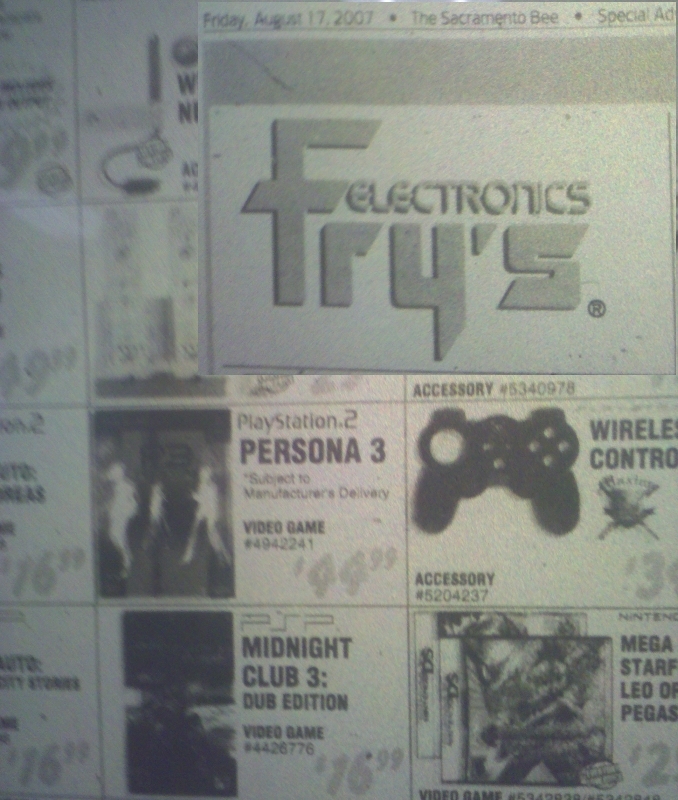 The Fry's ad from April 25th, 2008, the Friday of the week that Persona 3 FES was released. 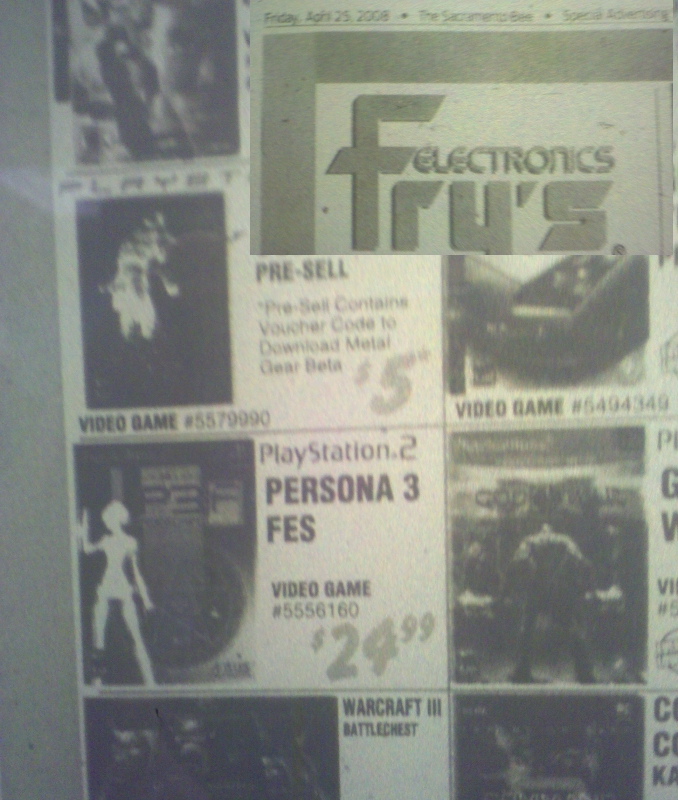 Notice the pricing: in 2007 "vanilla" P3 retailed for $44.99, while in 2008 FES retailed for $24.99. I wish I had a scan of the P3 Portable, which in 2010 retailed for $39.99, in a Fry's ad but their archives only go to a certain date. If I can find the Sacramento Bee's review of Persona 3, I'll post it here. If not, I'll post their Persona 4 review from January 2009 because they actually did one, plus the Fry's ad from the week of the release.